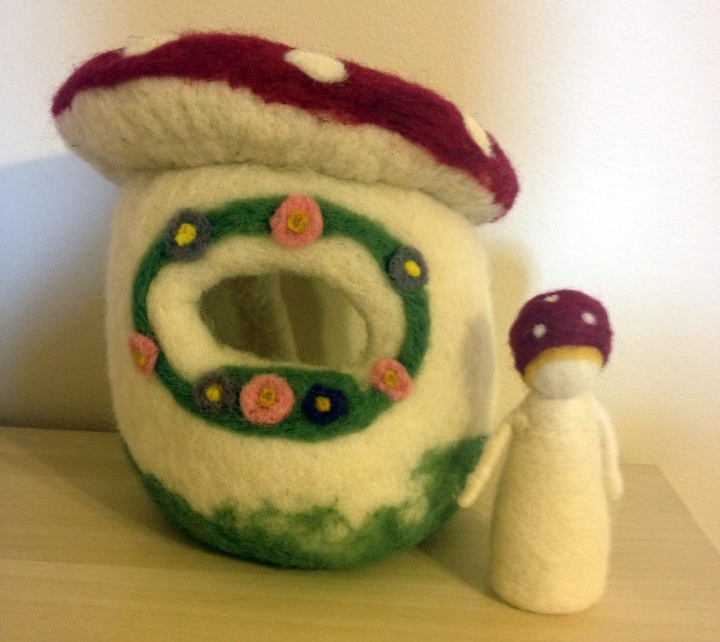 The basket is about 8″ high. 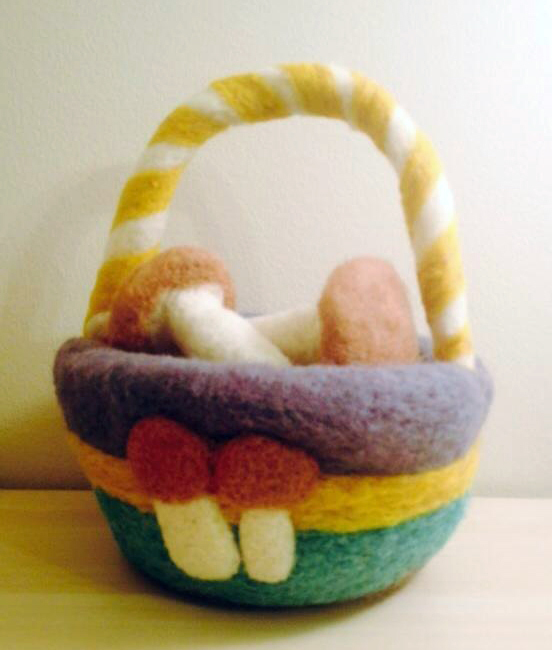 This basket is about 10″ high. 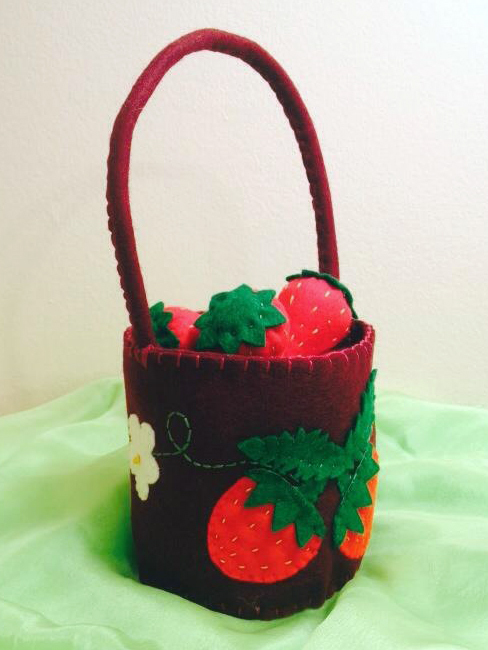 It is filled with felt strawberries. Kids really love it! 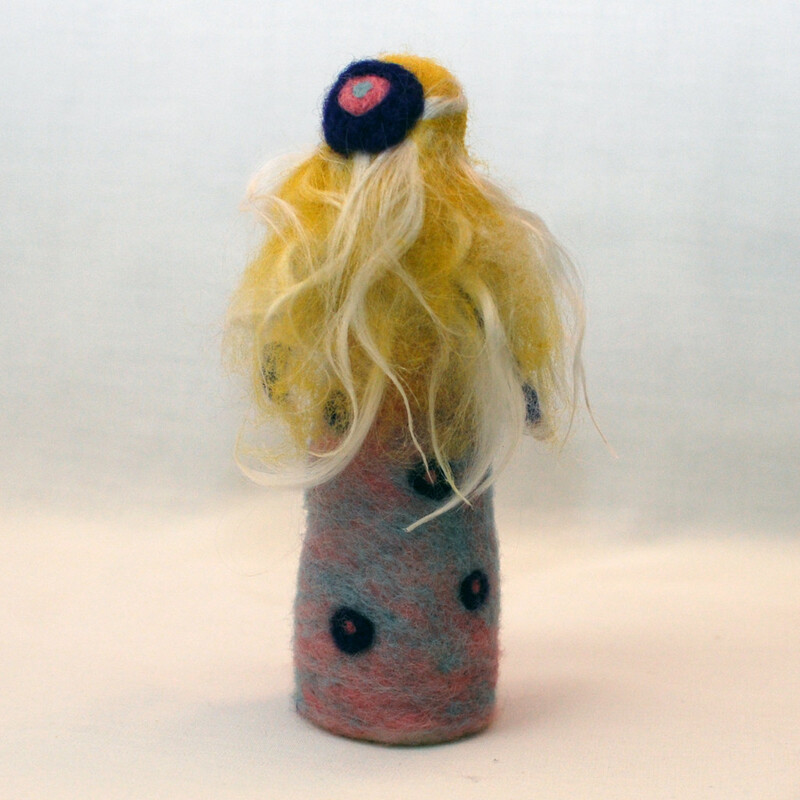 A felt birthday crown I made for a little girl. 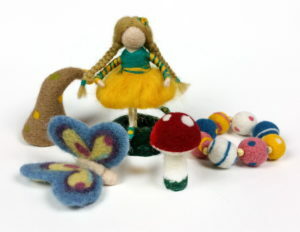 All needle felted from natural wool. Unfortunately this is the best photo I have of this work. 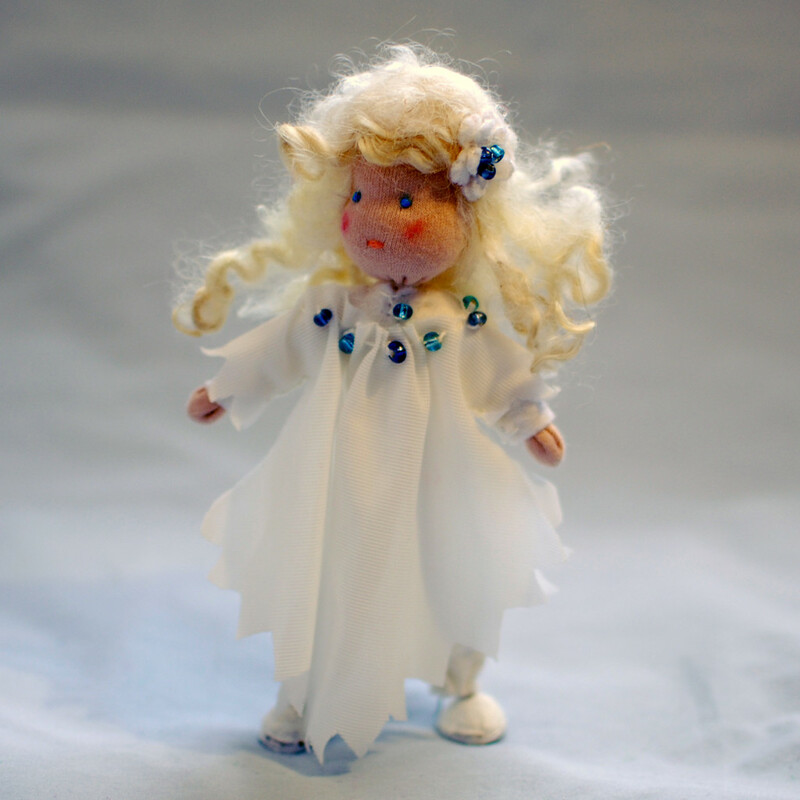 This lady is about 7″ high. 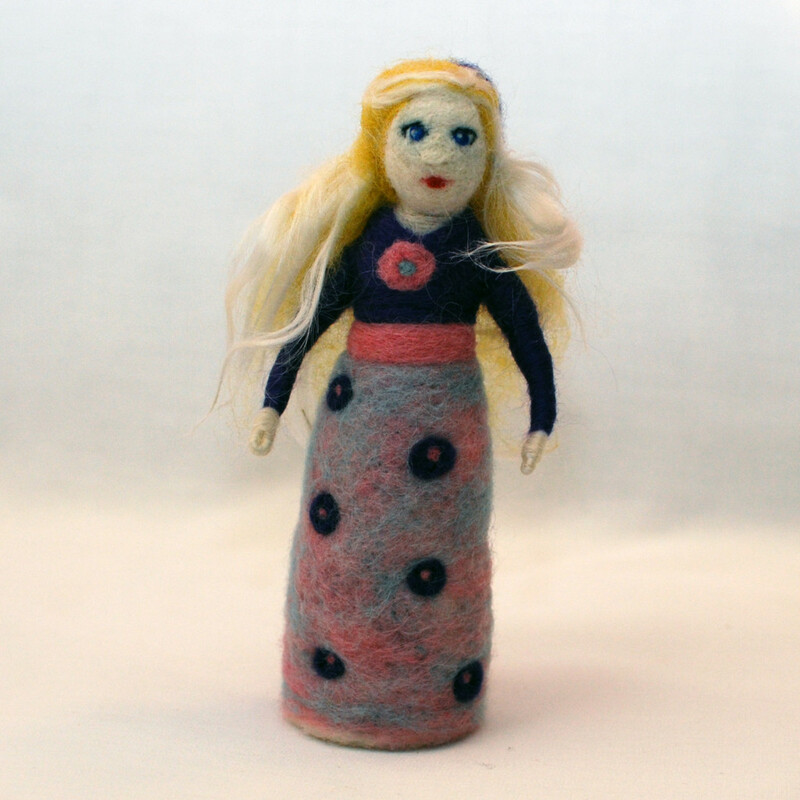 This little doll is about 4″ high.